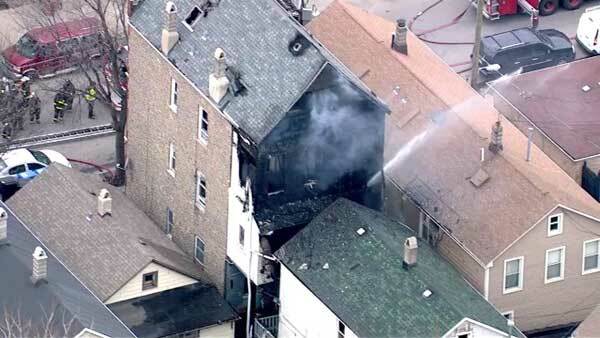 CHICAGO (WLS) -- Firefighters responded to an extra-alarm blaze in Chicago's Pilsen neighborhood Monday morning. Flames broke out in a four-story apartment building in the 1900-block of South Carpenter Street. Heavy smoke was seen coming from the third floor when crews arrived. A 2-11 alarm was called when the fire spread to the back porches. The blaze caused heavy damage to the building. The fire was struck out by around 9:30 a.m.